Hon. Larry W. Smith (Leader of the Opposition): Honourable senators, today we bid a fond farewell to a friend and colleague, the one and only Senator Nancy Greene Raine. Fifty years ago, she captured the imagination of Canadians by winning the Olympic gold medal in the giant slalom in Grenoble, France. Her place in Canadian history is well assured. Today, as Senator Raine takes her retirement from the Senate of Canada, she can be secure in the knowledge that she has had a positive impact on this place as well. Simply put, there is no one like Nancy Greene Raine. I could spend my entire allotted time listing all of her achievements and awards, but I’ll just name a few: 1968 Olympic gold and silver medallist in alpine skiing, World Cup champion, Officer of the Order of Canada, Officer of the Order of British Columbia, Canada’s female athlete of the 20th century. The list goes on and on! The discipline and determination she demonstrated as a world-class athlete have served Nancy Greene Raine well in her work here in the Senate of Canada. 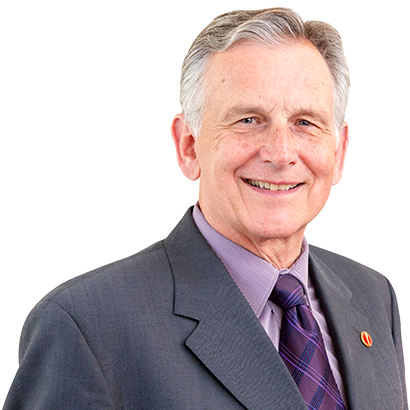 Senator Raine was appointed to the upper chamber in January 2009 on the advice of our former Prime Minister, the Right Honourable Stephen Harper, to represent the province of British Columbia. Over the past nine and a half years, she has faithfully and cheerfully performed her duties and has served as a member on numerous Senate standing committees. She has done this in spite of a serious health challenge she has faced in recent times. It is no surprise that much of the work Senator Raine has undertaken here in the Senate has centred around the promotion of healthy and active living. In 2014, Senator Raine saw a private bill she co-sponsored, Bill S-211, receive Royal Assent, setting the first Saturday in June as our National Health and Fitness Day. She has also been a driving force behind the annual Ski Day on the Hill. Our colleague has remained an active participant right up until the end of her work in Canada’s Parliament, as her private bill, Bill S-228, to prohibit food and beverage marketing to children is currently before the other place. I know I speak for all senators — I won’t say just Conservative senators — and indeed honourable senators when I say that we will certainly miss you, Nancy. However, we know that retirement for our colleague means more time at home in her beloved British Columbia to ski and be close to her family. Next year Senator Raine and her husband Al will celebrate 50 years of marriage, which is a tremendous milestone. We wish you and Al all the best as you begin the next chapter of your life. My little addition to this: As an athlete, I’ve spent a lot of years in sports. When I walked into the room as a rookie, the first thing I noticed was people looking at you and checking you out. When you look at Nancy Greene Raine, what do you see? Fire in those eyes, so you knew when she was going to compete, she was going to beat you in anything that you tried to compete against her in. That is a sign of a true athlete. You look at the eyes, you see the fire and you know there are a lot of good human values behind that personality. Nancy, congratulations.